The number above this fiery feline gets smaller as you attack. Once it reaches 0, it'll use status-boosting effects! 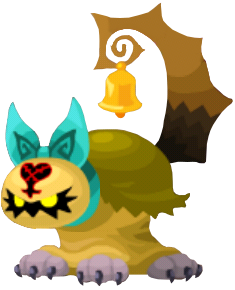 The Sly Cat is a Heartless that appeared in Kingdom Hearts Union χ. It sometimes accompanies the Mean Maiden boss.